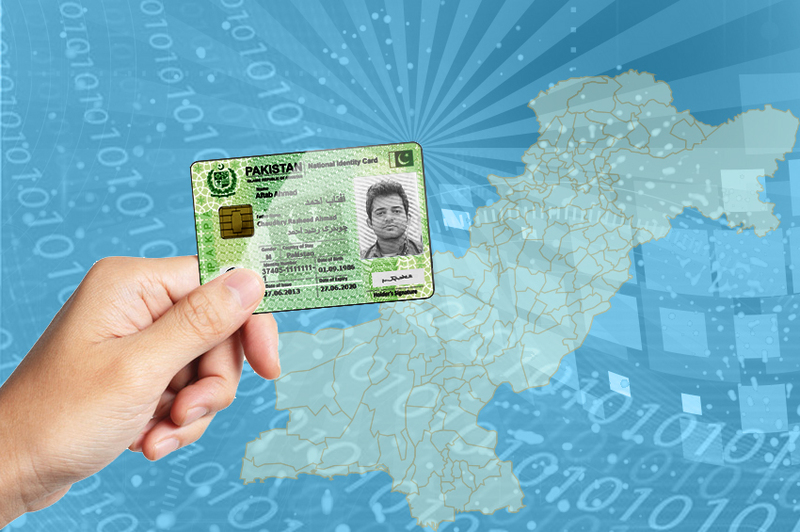 National Identity Card (NIC) is issued to the citizens of Pakistan. It is a blend of state-of-the-art technology and well-defined business rules to guarantee its authenticity and validity. The unique 13 digit identification number is recognized all over the country. It is the first requirement of individuals as it is mandatory to obtain documents like license, NTN, bank account, passport, cellular connection etc. Every citizen of Pakistan, 18 years and above, is eligible for NIC. Where can I apply for my NIC? You can apply for your NIC by either visiting NADRA Registration Center (NRC) or through Pak Identity website. Visit the nearest NADRA Registration Center (NRC). Please click here to locate your nearest NRC. Bring any of your blood relative (father/mother/brother/sister/son/daughter) and skip the attestation of the form by providing their biometrics at NRC. You can apply for your Smart National Identity Card (SNIC) by visiting Pak Identity website and have it delivered to your doorstep. You can not apply for fresh/new CNIC from website. Please visit Pak Identity website to apply and learn about the services. You can Track Your Application by providing your tracking id and contact number. How long will it take from application completion to delivery? There are two means in which a card can be delivered. Please note that the processing time of your application starts after submission of your attested form. How can I get myself cleared from "DUP" category? A citizen obtaining two or more identity cards/certificates with different Identity Numbers is marked “DUP” in NADRA database. Once you apply for DUP clearance, one of your National Identity Card (NIC) will be retained while the other (duplicate) will be surrendered automatically. Citizen will have a choice to retain any one of his/her NICs/Certificates through an application made to National Database & Registration Authority (NADRA). You can visit any NADRA Registration Center (NRC) and apply for “DUP” clearance. The fee charged for this is Rs. 1000 and Rs. 10,000 for different particulars.